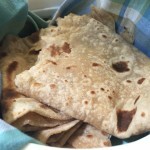 Ghadichi poli is the Maharashtrian way of making roti or chapati. 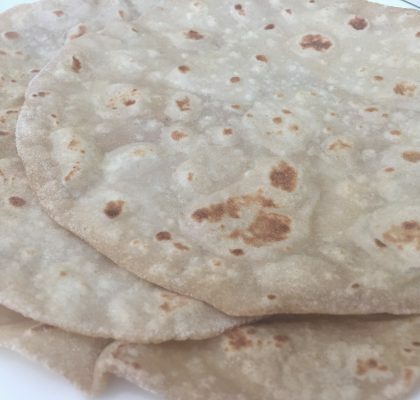 I believe that this is one kind of roti that stays fresh and soft for the longest period of time than any other variety. 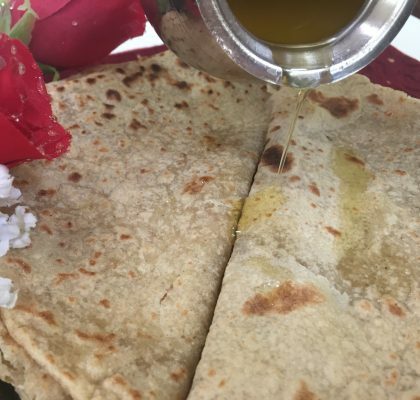 Of course, it tastes best when served hot, straight from the tawa or griddle. Get 1 cup of wheat flour or ata in a kneading bowl. Add salt and 2 tsp oil. Slowly add water with one hand and simultaneously knead with the other hand. 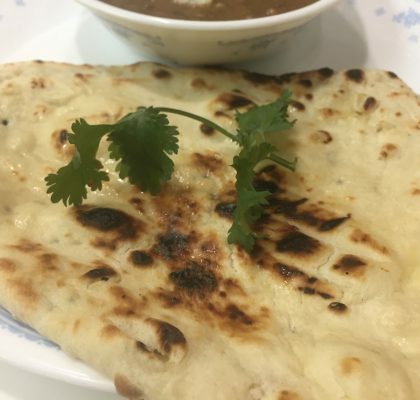 Add water as needed, to get a soft and smooth dough which is a little softer than the dough prepared for fulka or puri. Apply some oil and knead some more. Keep aside, covered for 15 minutes. Keep a griddle to heat while you roll the poli. Take a small portion of the dough (about 1 & 1/2" big) and roll between your palms. Press to flatten and then roll into a small circle about 4" in diameter. Dab some oil on the surface of this circle and fold twice, first into half and then into quarter, to make a triangular shape. Roll this into a big and thin circle. Do not apply too much pressure in the center but only along the edges. Carefully lift the poli with both hands, transferring between palms, and transfer to the hot griddle (the griddle must be hot, not just warm). Check by lifting with hand or with a spatula to see if the lower side has some brown spots. When little brown spots appear all over the lower surface, flip again and allow the other side to get similar light brown spots. Allow the poli to puff up between the flips. You may also rotate the poli on the griddle to make it get evenly roasted. Now remove from the griddle and dab some oil on both sides. Fold into quarter and serve hot with any dry vegetable or with any curry. For later use, wrap in a muslin cloth and keep covered in a box with lid.